Today, over 33 percent of the housing market are rental units and the number of people renting is steadily increasing as more people realize the perks of renting versus owning. As a tenant, you come to regard your unit as a home; a place that should be comfortable and reflects your individual personality. However, in rental units, this can prove to be tricky since renovation and decor options can be limited. Many tenants find themselves seeking simple ways to upgrade their homes to mirror their tastes while balancing the terms and wishes of their landlord. Light fittings are easy to swap out and a very cost-effective way to update a room or boost a decor scheme. Many rentals come with pretty standard light fittings. You can go as simple as swapping out the lamp shades for something that reflects your tastes or opt for getting the electrical fixture changed for a different style. If you do choose the latter option, it would be wise to acquire the services of an electrician to swap fixtures. Lampshades or bulbs, on the other hand, are a quick do it yourself job. It does not have to just be about decor either. Swapping lighting for more energy efficient ones can improve your bills and help your rental go green. One of the most common suggestions when looking to update a space is to try a new coat of paint. A fresh color scheme has the power to completely transform a room and most landlords do not mind the repainting as long. In fact, it reduces the maintenance they will have to do later on. It can be as simple as painting a feature wall or changing the color scheme of a room altogether. The addition of shelving satisfies two purposes: it boosts the unit’s style profile and adds much need storage. Wall mounted storage only require a few minutes to assemble, a tape measure and a drill. Floating shelves are great in the kitchen, the bathroom and even in the living room for the display of artifacts and ornaments. Most landlords would be quite open to the idea as long as the installation does not interfere with any significant structure within the apartment. As a matter of fact, when it comes to the time to rent the unit again, the added storage space can be a selling point that landlords can use. This is something you can do in an afternoon and simply requires you to head to the hardware store for a few minutes. Cabinet or door fittings are cheap and can pack a subtle yet noticeable punch in a rental upgrade. In the kitchen, replacing your tap is simple to do and it is something you can easily do yourself. If you are after a futuristic look you can opt for a stainless steel flat metal option with optional integrated smart technology. Alternatively, you can color coordinate the fittings with your new color scheme as suggested before. This will really bring the place together and complete the look. Our final tip is one that requires no change to the rental unit structure at all. In fact, this upgrade includes items that you can take with you when the time comes to move. Chair cushions, curtains, and throws can all be used to introduce a bold print or pop of color into a room. Elsewhere, accessories such as ornaments, wall prints and even your choice in photo frames can change the decor and tone of any living space. As a bonus, this is an inexpensive option and doesn't require any permission or notification to your landlord. Before attempting any upgrades, it is always best to be honest with your landlord and inform them of any impending plans. While most of these suggestions would elicit a positive response from the owner, it is always a good idea to be respectful and transparent about your plans. 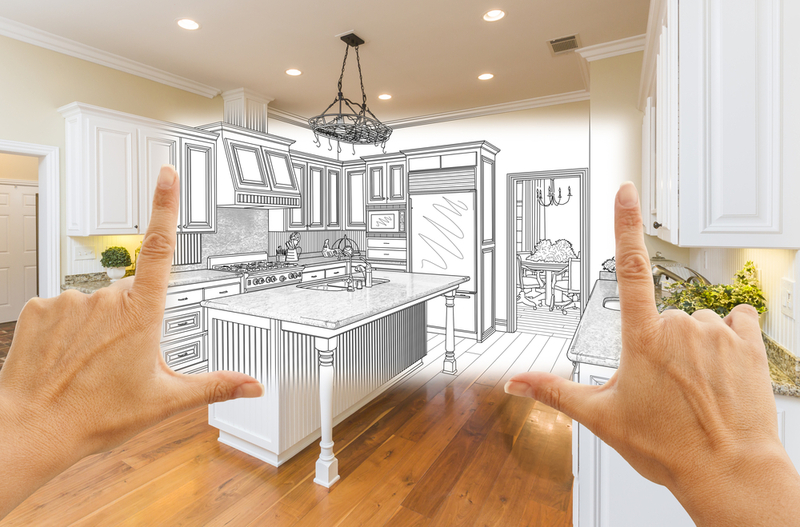 Chances are, your landlord may be so happy about your zest to upgrade the space and as a bonus, you get to personalize your home as you visualized it.